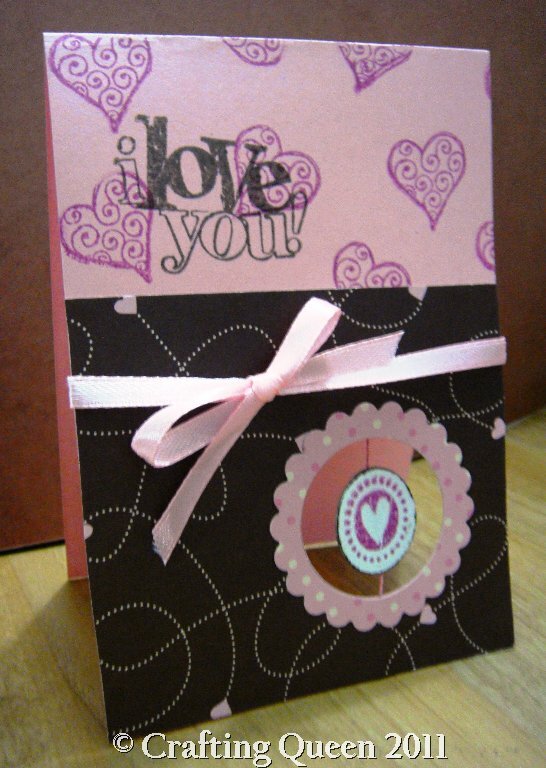 Crafting Queen: A Swing Card! I have finally got back to my scrap land and trying even more :) Here's a quick and simple card i wanted to share. Off late i have been very inspired by the various card techniques i see online so i tried a swing card. Basically the central circular heart image is tied via threads and upon opening the card it swings :) sorry no motion pics here. I am putting this card for some challenges too. very striking card ! fabulous ! Awww!!.. this is a pretty card! Love the color combination and the proportion of it too. Love the ribbon too..
very nice, love all the colors, looks like you spent many hours on it! Very well-crafted card - good work! Thsnk you so much for sharing with us at Crafty Cardmakers this week! lovely card. thanks for playing along craftyjc challenge. Moving style. I would love to write that way. Crafting Queen Store is now open! !